At last the OS app ! 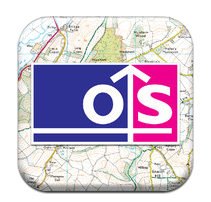 The future of the consumer business of Ordnance Survey (OS) that is..
Just in time the OS has launched an app for iOS, with Android in the pipeline, that demonstrates there is a future role of the agency in the post paper map age. For a number of years the OS has relied on apps produced by it’s partners to distribute its mapping products on PC”s and the increasing important market of mobile devices. 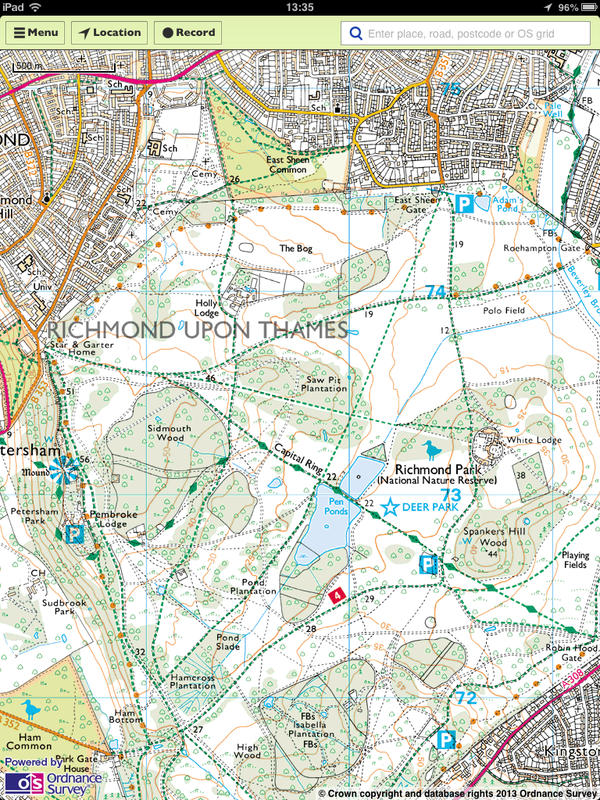 The distribution of OS maps digitally is strategically important to the agency as it represents the future where paper maps are increasingly a niche specialised product, expensive and difficult to buy outside of specialist stores.. The only surprise therefore is how long it has taken the OS to enter this market, and the app in my opinion is a really good first effort. The OS has wisely integrated the purchase of mapping data into the Apple Appstore add-on process which although it means paying a margin to Apple on every sale, it makes the app from the users perspective very easy to use, almost too easy to pay £2.49 for a tile of 1:25:000 mapping. The mapping is on the expected high quality scanned produced at a high enough resolution to replicate the paper product, and of course you get all the benefits you would expect in terms of GPS and track creation functionality. 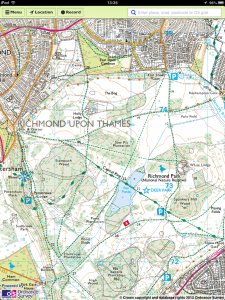 A less obvious highlight is the OS Gazetteer powered search function which allow you to search for place name text from the maps themselves, a simple function in an app, but a great advantage over paper maps. Welcome to your future OS, I just hope you fully embrace it ! One small factual error. You say “The mapping is on the expected high quality scanned at a high enough resolution to replicate the paper product”. That is incorrect because there is no scanning involved. It is the same digital data, at the same resolution (660 dpi) that we also use to print our paper products. This is a big step forward for OS. This kind of change doesn’t come easy for an organization with OS’ long history and culture. Hopefully, this app will be a commercial success, so that OS can continue in a promising direction. but why is it so fat? 336mb shipped with rough looking 250k maps! Beware anyone downloading it over 3G, kiss goodbye to your monthly data allowance. Do wonder how they (OS) will compete against existing solutions that license their maps (Viewranger, Memory Map, etc) and already have a strong client base. Well they do have the brand name, if you are searching for OS maps.. They need to make sure there is a level playing field so that their partners (Viewranger, Memory Map, etc) can compete on an equal basis. Although the data is the same as in the map production process, so far as I am aware the small and medium scales were never vectorised. The original paper was scanned to produce raster data. So although Ed was technically incorrect, the data’s provenance is from scanning, not vector. Ian Wilson, ex OS employee. Previous PostPrevious So does Open GovData allow SME’s to flourish? Next PostNext When a map tells a story..